Used 2016 Ford Transit 350 Wagon Med. Roof XLT w/Sliding Pass. 148-in. WB for Sale in Charlotte NC 28213 Carolina Rent A Car, Inc. 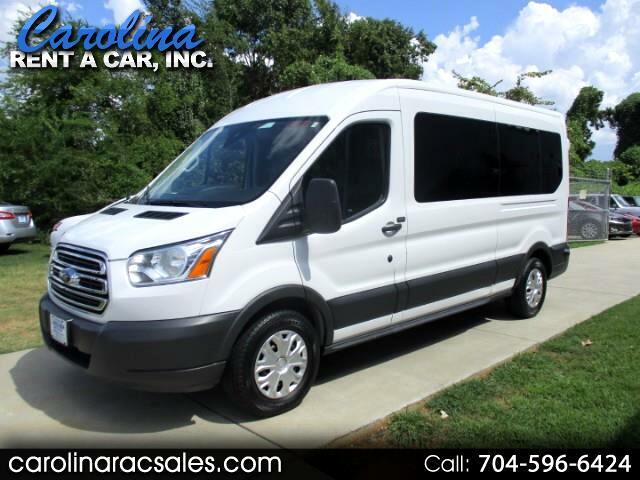 Very nice Transit 350 XLT Medium Roof 15 Passenger van located in Charlotte, NC. We have all service records on this van since 13,247 miles. One previous owner, clean title, no damage on this van. CARFAX shows one accident report, person backed into someone, but no damage to this van. This van has: power windows, power locks, cruise control, tilt steering, navigation, keyless entry, am/fm/stereo with cd player, tinted windows and much more. Call John at 704-596-6424 to schedule a time to see this van.